Will DOTA 2, Other Esports Be Included in 2019 SEA Games in PH? Will DOTA, Other Esports Be Included in 2019 SEA Games in PH? 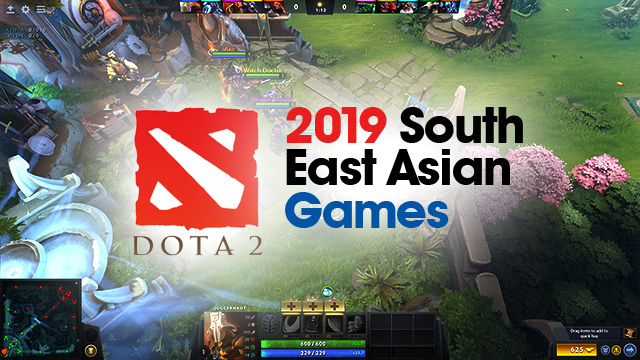 Professional gaming is one step closer to being included in the 30th Southeast Asian (SEA) Games, which will be held in the Philippines on November and December 2019. A report by the Philippine Daily Inquirer revealed that Arniel Gutierrez, president of the Electronic Sports Association of the Philippines (ESAP), has been in talks with the Philippine Olympic Committee (POC) to include esports as a demonstration event in the 2019 SEA Games. The report added that esports will offer “at least three gold medals” should it be included in the event. The news comes after esports’ current inclusion as a demonstration sport in the 2018 Asian Games, which features six video games: Arena of Valor, Clash Royale, League of Legends, StarCraft II, Hearthstone and Pro Evolution Soccer. Eighteen nations will compete in at least one of the six tournaments, though the Philippines is not among the participating countries. As well, it was confirmed last year that esports would be promoted to an official medal event in the 2022 Asian Games to be held in China. These all pave the way for the growing possibility of esports to be included in the Olympics as an official sport. While there have been no confirmed esports events in the 2020 Olympics in Japan, a Fortune article reports that there is a possibility for it to be part of the 2024 Olympics in France. “We have a solid base of players here in the country and I’m confident we are capable of winning a medal in the Olympics,” the Inquirer quoted Gutierrez as saying. Globally, esports industry revenue is estimated to grow to over $900 million in 2018 from $655 million in 2017 and $493 million in 2016, according to Forbes.com, citing estimates from Newzoo, a market intelligence provider. The revenue consists of sponsorships, advertising, media rights, game publisher fees and tickets and merchandise. There’s no estimate of the size of the esports industry in the Philippines. However, video gaming revenues in the Philippines, which refers to sales of games played on PCs, mobiles and consoles, is estimated at $354 million in 2017, according to Newzoo. It also estimates there are 29.9 million video gamers in the country. That makes the Philippines the 29th biggest in the global gaming market worth an estimated $121.7 billion.